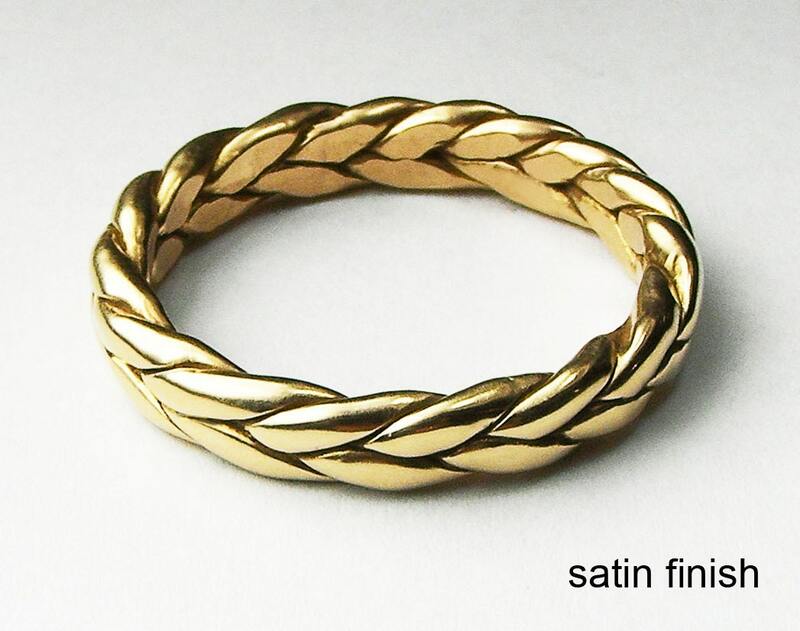 A classic and weighty gold braid ring. 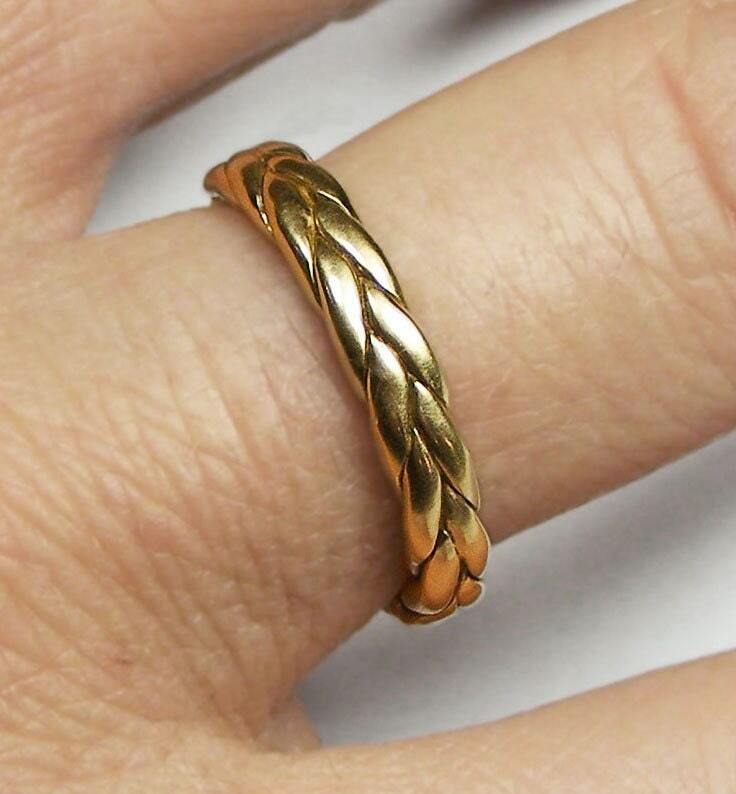 Can be a wedding or promise ring or just a beautiful everyday ring. 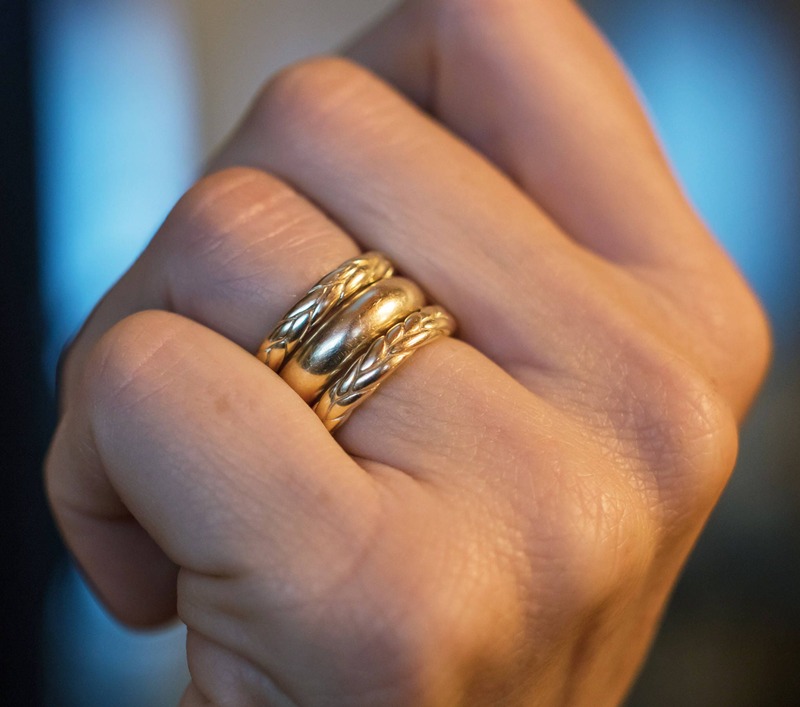 Stacks well with other rings. Each braid ring is approx. 3.5 mm wide (smaller sizes) - approx 4mm wide (larger sizes). The profile depth is approx. 2mm-2.5mm (dependent on size). 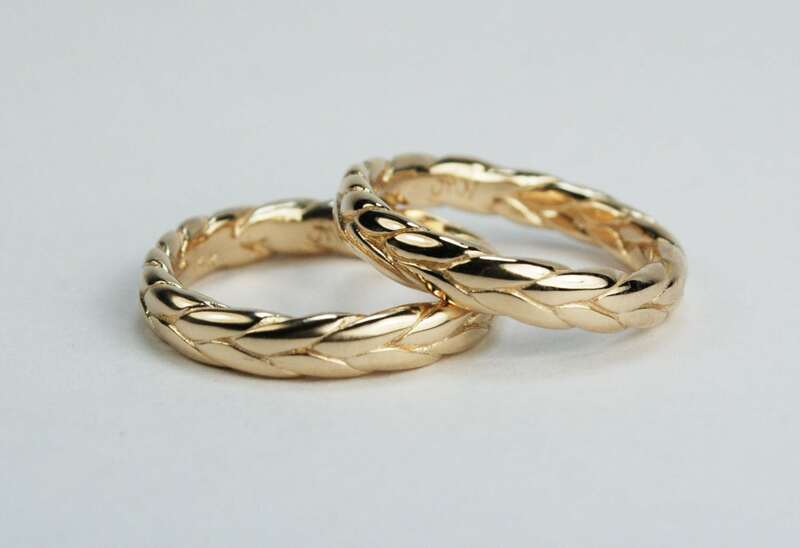 Made from recycled 10 karat yellow gold. Also available in white or pink gold (please contact me). 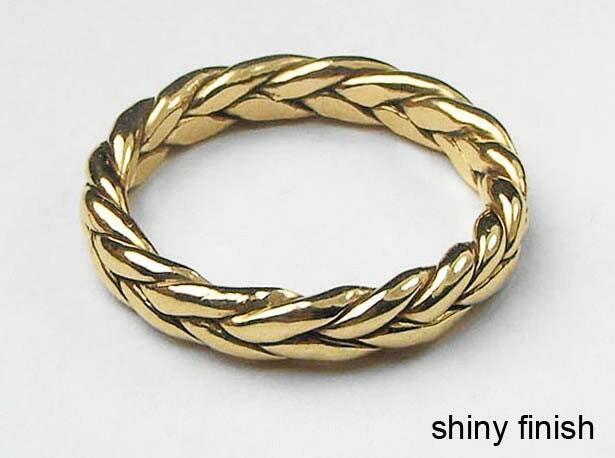 Listed price is for ONE gold ring only. Please contact me if you need a different size. I got my husband this ring and he loves it. The braiding is beautiful and it fits perfectly. The seller got in touch with us right away and it shipped quickly. Thank you! I really love this ring. Nice and heavy and it goes with everything.